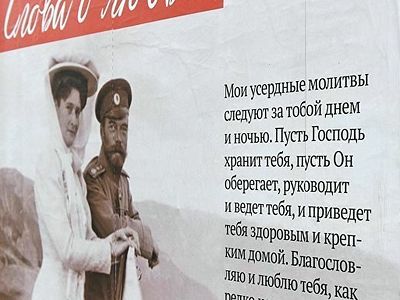 The first church in Moscow named in honor of the holy Royal Martyrs—Tsar Nicholas II and his family—has been built in the Northern District, the press service of Duma Deputy Vladimir Resin, the supervisor of the capital program for the building of churches, reported to RIA-Novosti yesterday. The church can accommodate 200 parishioners. The chapel on the site of its construction was laid in 2013, the 400th year of the House of Romanov. Grand Duchess Maria Vladimirovna Romanova later made a private visit to the construction site. “This is the first church in Moscow built in honor of the murdered Nicholas II and his family. Additionally, this is the first church in the Northern Administrative District built as part of the program for building new Orthodox churches in Moscow,” according to Resin’s press service. The parish’s website notes that the Royal Martyrs were chosen as the church’s patrons because many Christians in Russia today are turning to them in prayer to strengthen their families and for aid in raising their children in faith and piety, for preserving their purity and chastity, for help in school, and for the prosperity and revival of the Russian Fatherland. The second step of the construction is currently underway—the building of a two-story parish house. 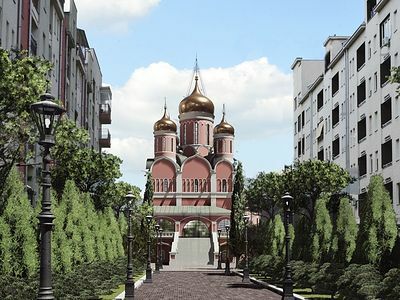 The program, “For the Construction of Orthodox Churches of Moscow” is also known as the “200 Program” due to the plans to build 200 new churches in Moscow. There are currently only 16 churches in Moscow’s Northern District, which has a population of 1,161,000. It is planned to build another 27 churches, with work already begun on 6, and another 5 in the design stage. A church in Donbass in honor of the Royal Martyrs began holding services on Nativity this year. There is also a monastery named in honor of the Royal Martyrs in Ganina Yama, Russia, on the site where their bodies were disposed of. Follow us on Facebook and Telegram! 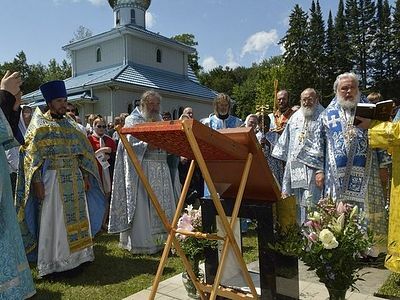 On August 6, during the patronal feast of the Church of the Smolensk Icon of the Mother of God in Jackson Point, Ontario, Canada, which celebrates its 60th anniversary this year, the foundation stone of a future chapel in honor of the holy Royal Martyrs was blessed.